Roger Waters will headline Music Heals, a benefit for MusiCorps – a charity supporting injured US service men and women and their families – at Washington, DC’s DAR on Friday, October 16. 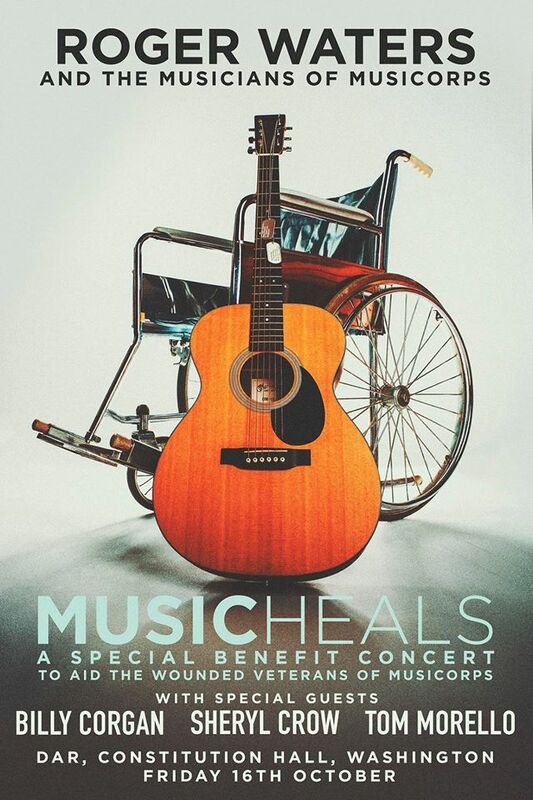 Waters – who will be joined by special guests Billy Corgan, Sheryl Crow and Tom Morello – has supported MusiCorps for a number of years and served as a mentor to members of the MusiCorps Band, playing with the veterans at the Walter Reed Hospital in Washington and encouraging their love of music as part of the rehabilitation process. "The work I have done over the last few years with these men and women has been some of the most rewarding work I have ever done," says Waters. 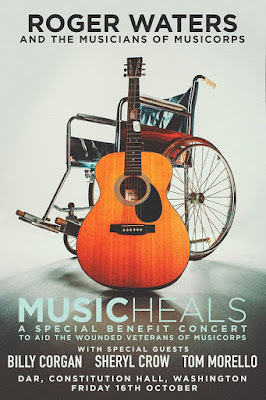 MusiCorps is a non-profit charitable organization which helps wounded veterans play music and recover their lives. The conservatory-level program enables the wounded to learn, relearn, and perform music as a core part of their rehabilitation. MusiCorps is based at Walter Reed National Military Medical Center outside of Washington, DC, and is raising support and awareness in advance of national expansion. The updated version of Waters’ third solo record will include a new 5.1 surround remix of the album on high-definition Blu-ray audio and a new remastered stereo mix completed by longtime Waters / Pink Floyd collaborator and co-producer, James Guthrie. On the same day, the singer will headline the Newport Folk Festival with “an intimate appearance specifically crafted” for the event at Fort Adams State Park in Newport, RI.